A Romani child was shot and killed at approximately 13:00 on Tuesday October 9th 2018, in Montana, Bulgaria. The 17-year-old boy named Goszko was collecting hay with his grandfather when a man fired his weapon multiple times at the boy. The boy died shortly afterwards from his wounds. This is not the first time that Roma have been shot or killed while collecting firewood or hay. Just last year, a 24-year-old Romani man was shot dead in Breaza, Romania by police officers whilst collecting firewood in the forest. In Bulgaria, this has become all too common an occurrence in recent years. Last year, a Romani father from Bohot was beaten to death by police while he and his son were out collecting firewood. Officers claimed the action was a result of the Romani men resisting arrest and being in possession of stolen pesticides. Although many areas of Bulgaria have agreements that firewood can be collected from the forests providing tools are not used to harvest it, this often has little bearing on the decision to open fire on Roma 'caught' harvesting wood. An inordinate number of Roma seem to die in Bulgaria’s forests, usually at the hands of police, forest rangers, or local landowners taking violent action against Roma collecting wood, whether it is being harvested legally or illegally. In 2003, a spate of shootings left many Roma who had been trying to collect wood from the forests either dead or wounded around the country. In February 2003, Severin Sabev Aleksandrov, a 25-year-old Romani man, was shot for collecting firewood in a forest near Vetovo in northern Bulgaria. Forest rangers also shot Emil Tinkov, a 17-year-old Romani boy, in the shoulder as he was leaving the Kumanitsa forest near Krivodol in northwestern Bulgaria. The next month, 28-year-old Angel Simeonov was killed in March 2003 near the town of Samokov with no charges being brought against the perpetrator. 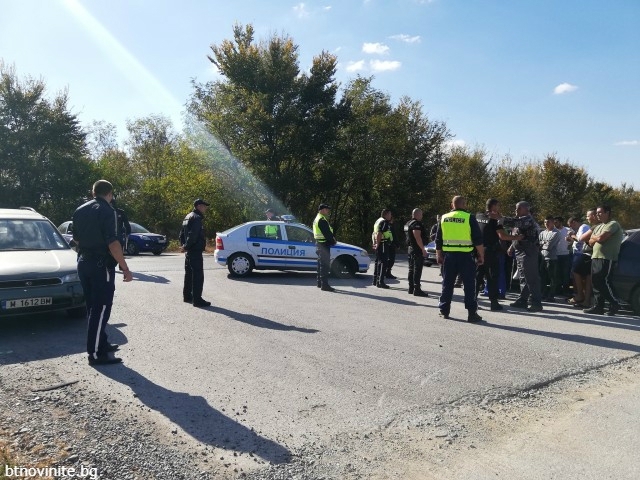 The same month, around 10 police officers and forest rangers brutally beat and shot three Romani men in the forest near Lukovit in northern Bulgaria. A day later, a private security guard shot Ivan Anastasiev Ralev, an 8-year-old Romani boy, who was collecting scrap wood to burn in the town of Burgas. He survived but his family refused to press the investigation further for fear of repercussions from the security company who they were neighbours with. The forests in Bulgaria have become a place where people seem to take the law into their own hands and frontier justice decides whether Roma live or die. This most recent murder of a Romani boy must be investigated properly by law enforcement, and the potential for racial motivation to the killing must be considered. The ERRC and its Bulgarian partners are further investigating the killing and are in contact with the boy’s family.